If there is a strange sound occurs in the wheel center bearing, it is advised to apply XADO Repairing grease which will help to remove it. The product contains Revitalizant which restores worn friction pairs. You should disassemble the unit following the cleaning and flushing of the bearing. Check if there are any severe scratches, chips or holes deeper than 0.1 mm on the operating surfaces of the bearing. Make sure that the bearing cage is not damaged. Then apply XADO Repairing grease by filling the bearing not less than 2/3 of the free inner volume. The unwanted sounds will be reduced after 1,200 – 1,800 miles of run. 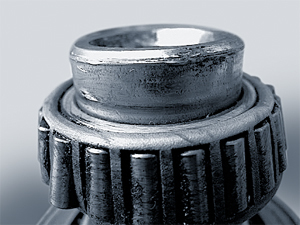 After restoring of the defects with a help of the XADO Repairing grease, it is advised to change the grease with XADO Grease for constant velocity joints. XADO Repairing grease is created to prevent the mechanisms from wear and restore them. Due to Revitalizant contained in the product a new protective layer is created on friction surfaces which helps to restore the defects to the level of technical purity.